One big source of overwhelm for business owners is their marketing strategy. In the online space we are constantly bombarded with SHOULDS, MUSTS, and PROMISES that can keep your head spinning and your strategy fragmented. 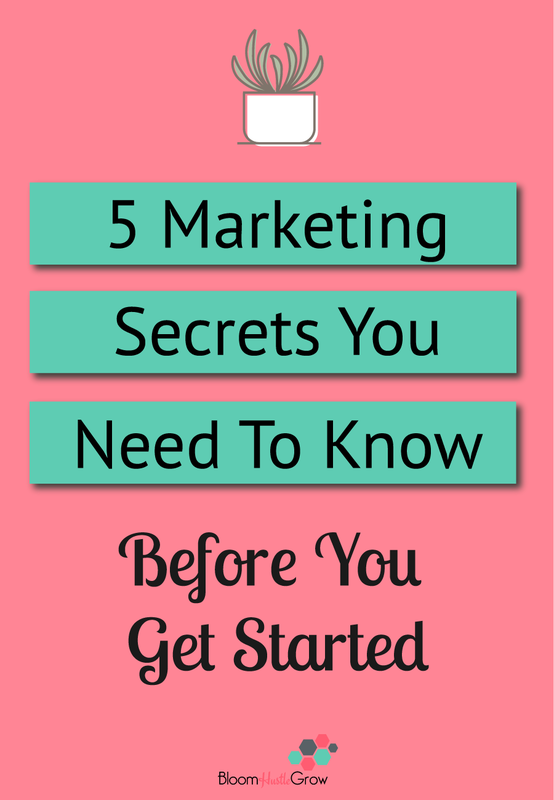 When you are approaching your marketing strategy keep these 5 things in mind to help keep you focused and sane! Don’t get sucked into marketing overwhelm. Grab these 5 tips to help keep you grounded. When it comes to approaching Marketing strategy, there is no magic formula or one-size-fits-all “right” strategy. There are so many avenues and ways to approach a marketing strategy for your business. If there were one formula, then there wouldn’t be so many options, and we would all be doing the same thing. Don’t believe the hype (the next course, book, webinar, or catchy headline) there is NO secret formula. It’s all about finding YOUR formula. If you try to spread yourself over too many channels and do too much at once, especially if you are solopreneur, it’s a big mistake. It leads to burnout, half-assing, and it usually kills my next point which is consistency. With everything in your business quality over quantity is the way to go. It’s better to push out less content, be on fewer channels, and focus on doing a few marketing strategies really really well. Honestly, consistency with following a strategy is the only magic bullet to a successful marketing strategy. The only way you can determine if something is going to work or not work for your business is to do it consistently. That’s why establishing processes to structure all your marketing is so important. Sporadically promoting and being on channels is what kills your marketing. Read more about how important being consistent is for your business success in this post. Find the strategy that works for you, works with your skills, and you can maintain. That’s the formula you need to know. NOW if you are consistency executing a strategy and it’s not working, you do need to shift your focus, business takes experimenting smartly and trying new things. And when I say “a strategy that works for you” it might not be one you WANT to do. Starting your own business requires a lot of growth and stepping out of your comfort zone. Find the balance. Part of growing a successful business is figuring out how you work best and being true to you. Just like productivity, marketing takes figuring it out step by step and doing what fits for you. Take advice, take strategies but make them your own, make them work for you. Don’t try to fit yourself into a box that doesn’t fit for you. It’s super hard to execute a strategy that doesn’t fit YOU. The more YOU you bring to your strategy the better. I highly recommend All Marketers Are Liars by Seth Godin for more about why bringing YOU to your strategy is so important. Bottomline don’t drive yourself crazy with trying to follow ALL the advice and jumping from new thing to new thing. Get a focus, get a process, and evaluate what’s working. There’s no ONE right answer to marketing strategy. If you are having trouble getting a focus to your marketing strategy, sign-up for The Simplified Marketing Plan. This plan will help give you a framework that you can use to craft and organize your marketing strategy. Download the workbook, watch the video for each section as I walk you through crafting an example plan and for my Trello fans, there is a template board that mirrors the workbook to help you organize your strategy. This post includes affiliate links meaning I get a small payment to buy more books if you purchase through my link, no additional cost to you.